Emily Pantelides speaks with Dilip Barot, Founder of Creative Choice Group. 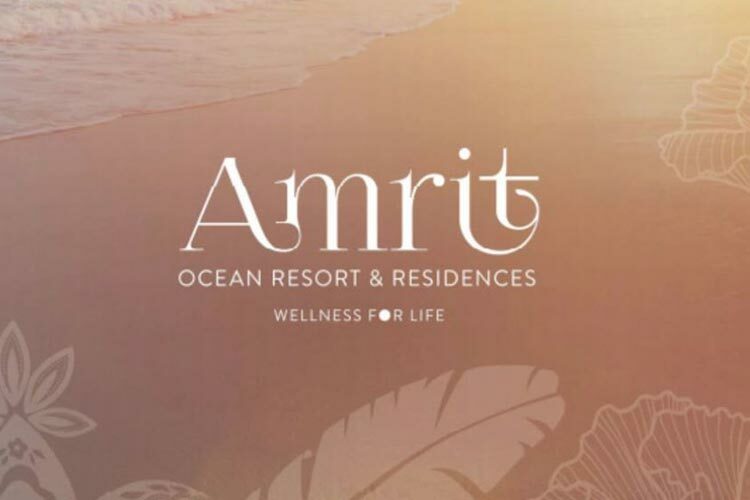 Mr. Barot talks about wellness real estate providing a wellness lifestyle at Amrit Ocean Resort & Residences on Singer Island. Live better, right at home. Most of us live stressful lives, complicated by the evolving lifestyle ubiquitous technology provides. We all end up longing for the once-a-year vacation or at the very least a trip to the spa. In fact, we have become so programmed to do more in less time, that it has coined a movement called “lifehacks”, a notion so popular that the word has been added to the Oxford Dictionary. The term refers to any trick, shortcut, skill, or novelty method that increases productivity and efficiency, in all walks of life. Presumably, by being more efficient, we will be less stressed and maybe even find the time to relax. We find ourselves self-medicating to perform the most natural tasks, including sleep. The problem with these abbreviated hacks to everyday life is that they are like a New Year’s resolution; some stick, some don’t, and if we are fortunate enough to be able to take that holiday, the moment is fleeting and we are quickly whisked back to a stressful routine. Alas, to every problem there is a solution. Thanks to two of the world’s leading authorities on mind-body health and the foresight of real estate developer Dilip Barot, you can now come home to the elixir of life. Dilip Barot and his real estate development company, the Creative Choice Group, are ushering in the next evolution in resorts and residences with their Singer Island, Florida wellness property, Amrit Ocean Resort, and Residences. There is little doubt that health is a new wealth, and as such, Amrit introduces a new paradigm of privileged living. Starting with nature itself, Amrit Ocean Resort and Residences are situated along 300 feet of linear beachfront, along with Florida’s exclusive Singer Island. And in case you were wondering, Amrit is Sanskrit for “elixir of life”. The founding principle behind wellness real estate is a community and lifestyle designed to combine the ancient wisdom and inner science of the East with the modern comforts and luxuries of the West, resulting in a more balanced and healthy life. Part of the way this is made possible is through the community itself. Much like the way residents or guests of a golf club community are able to afford the lifestyle as a community, residents, and guests of Amrit are able to experience lifestyle and wellness amenities that are of the highest levels. Everything from an infinity-edge pool and waterfall to a yoga garden, catering and private dining to state-of-the-art fitness and car care facilities are included with your wellness home. But it doesn’t stop at the vast amenities, every single component that goes into the development of the property is done so with health in mind. This includes the air ducts, paint, and building materials. Dilip Barot’s Creative Choice Group plans to have several of these wellness properties around the country, but for now, Amrit is conveniently located only ten minutes from Palm Beach International airport, so no matter where you have to spend your stressful week, your respite and wellness can be a plane ride away. Spotlight on Business airs weekdays in the CBS12 News at 3. Our host @EmilyPantelides discusses local business trends with South Florida business owners. If you’d like your business to be featured in Sthe potlight on Business email Josh Brown at CBS12.